In this post, I’ve reproduced some questions posed in e-mail or comments to Daily Writing Tips about commas, followed by my responses. 1. Which comma-style-in-a-series do you prefer, Oxford/Chicago Manual or AP? Why? 2. I keep finding commas placed after but, as in this sample from a Bloomsbury novel: “She is not yet that committed but, determined not to be ridiculous, she makes herself bite into the Bakewell slice.” I was raised to put a comma before the but. Is this another matter of American versus British usage, or is there a grammatical nicety here that I am missing? 3. I have read books where authors neglect using the comma in phrases like “me too.” I don’t know whether my being irked when I see this is completely wrong, but I would like more information about it. In the usages you describe, the tag too should indeed be preceded by a comma, but the punctuation mark is often omitted in informal or conversational contexts or simply out of ignorance. 4. I refer to my stylebooks all the time in an effort to get [appositive epithets] right. Do you know of an easy mnemonic device that can help me remember this rule? I don’t have any mnemonic for this matter, but think of an epithet as an adjective: “Daily Writing Tips contributor Mark Nichol” describes which particular type of Mark Nichol is being identified. Just as you wouldn’t punctuate “blue car” with a comma between the adjective and the noun and another following the noun, you don’t insert commas before and after your name. Or consider the subject in “Planet Earth is our home.” Planet is an epithet, and Earth is not bracketed by commas. 5. In “Strange and surely intentional was the omission of her name in the credits,” should “and surely intentional” be set off with commas? And would you please expand on such when the second is not clearly subordinate — e.g., an aside. This type of phrasing is highly flexible in terms of punctuation, and what the writer does depends not on construction but on connotation. If a pairing of adjectives or other parts of speech is straightforward and sensible — lithe and graceful, hale and hearty, cheap and shoddy — the second element need not be set off, but when it is extraordinary, emphatic treatment is effective. Grammatically speaking, no punctuation is necessary in the sentence you provided, but the force of delivery of the additional information is heightened by setting it off from the main clause: “Strange, and surely intentional, was the omission of her name in the credits” ensures that the reader momentarily ponders the import of the deliberate omission. “Strange (and surely intentional) was the omission of her name in the credits” does the same while suggesting a conspiratorial whisper between the writer and the reader on the topic. “Strange — and surely intentional — was the omission of her name in the credits” intensifies the impact by pushing the surmise onto center stage. In my native toungue, Norwegian, our rules for punctuation are pretty clear and firm. One of them is : always comma after an inserted clause. 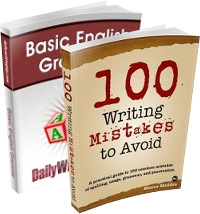 Thus, in your sentence:”This type of phrasing is highly flexible in terms of punctuation, and what the writer does depends not on construction but on connotation.” I long to put a comma after “what the writer does”. I feel that the juxtaposition of the two verbs “does depends” is clumsy and makes the meaning unclear. “does” refers back to the subject “the writer” whereas “depends” refers to the whole clause preceding it : This (what the writer does) depends, not on construction, but on connotation. 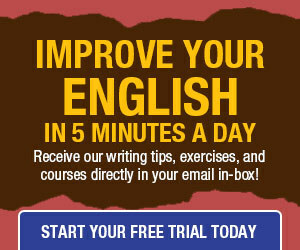 Would it be incorrect to insert a comma after the dependent clause “what the writer does” in English? I love your comment in point 5. This is well put and demonstrates so clearly how expressive flexible punctuation can – and should – be. “Conspiratorial whisper” – delightful! Excellent post! I enjoy all your posts, but this one was particularly useful since commas are so frequently used (or misused). I disagree with number three, though. I’ve read various grammar books that all state a comma before “too” is a stylistic choice, dependent on the writer’s context and how she or he wishes to emphasize their sentence. Thanks again for such fascinating and useful posts! I totally disagree on this one: “The comma after but is necessary because it signals that what follows it and precedes the next comma is an interjection, and the insertion of another comma is also recommended: The correct punctuation is “She is not yet that committed, but, determined not to be ridiculous, she makes herself bite into the Bakewell slice.””… Comma overuse is rampant, and it’s completely unnecessary between the “but” — before the but is fine and all that is needed. Yay! for your answer to No. 5 on this post. I love the way you have taken the subject question, shown it’s proper sphere and crafted three additional correct constructions, AND told us how each works, to ramp up the emotional energy of the reader. I really like that because it is an excellent teaching tool on this particular point. It fits my style anyway. About point 3, comma in “me too”… The question and answer forum on the CMS website recommends not using the comma before “too,” as in “I like apples and bananas too.” Do you feel the comma serves a purpose in that spot, or is it simply traditional? @Eilidh: I think that depending on the exact meaning of your example sentence, it might or might not require a comma. Caveat: I have not consulted any writing guides to back up my answer below! 1. If you mean that you like apples and you also like bananas, I would think you don’t need a comma. 2. If you are talking to someone else who says he likes apples and bananas, and you’re thinking, “What a coincidence! I like apples and bananas, too!” meaning “I, too, like apples and bananas,” then you would need the comma. @Mark: A common phrase in my line of work is “including but not limited to,” used, for example, when doctors are explaining to patients possible complications of planned procedures. I put a comma after “including,” but no comma following “to,” when the list of complications begins (and each complication gets its own comma, save for the penultimate item). So what I’m asking is, would you consider that correct? An example would be: “I informed the patient of the possible risks and complications of the procedure, including, but not limited to bleeding, infection, need for further surgery…” I have seen people leave the comma out after “including” but put one after “to,” but that doesn’t “sound” right to my ear. What is your opinion? I understand languages have their own rules, and Norwegian is welcome to its own. But how does not putting a comma after “what the writer does” make things unclear? “Clumsy” is subjective, of course. Yes, depends refers back to the clause, but what else could it refer to? What else could “What the writer does depends on…” possibly mean? Putting a comma between does and depends would seem oddly stilted. I think you are right about the two different possible meanings and the punctuations appropriate for either of them.